Aveda has conducted many sampling promotions for its plant-based hair care and cosmetics, but the company ventured into sampling on Facebook in December 2010 by implementing a Smooth Infusion Sampling App on the social media platform. eMarketer reports on how the company responded when their social media marketing strategy failed to go as planned. 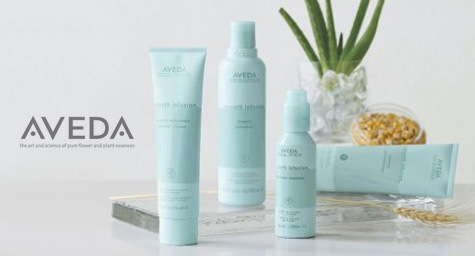 Aveda’s three objectives for their Facebook promotion were to drive trial of their Smooth Infusion line, encourage new users throughout the year to purchase the Smooth Infusion products, and increase the amount of “likes” on their Facebook page. The Smooth Infusion Sampling App worked by driving consumers to a specific tab to view a product video, then inviting them to click to order the sample and enter their name and shipping address. The first 5,000 entrants were to receive a confirmation screen that stated a sample pack would arrive within four weeks. This sampling was launched on a Friday and promoted by a one-day Facebook ad buy comprised of display ads and keywords. The problem arose when the app continued to confirm that samples would be sent past the initial 5,000 participants. When Aveda realized the issue and shut down the app, a Facebook glitch prevented the company from knowing the first 5,000 entrants. Aveda immediately responded by announcing that an error had kept the company from knowing the first 5,000 people, then told participants that it would re-launch the following week and give away 20,000 trio packs. When 20,000 people had entered, the app was shut off and people were informed that the promotion had ended, but invited them to come into an Aveda store or salon to receive a trio pack. Aveda also stated that if any of the original unknown 5,000 participants came to the Facebook page and missed the 20,000 entrant mark, they should call customer relations to get a trio pack in the mail. After the promotion and despite the malfunction, Aveda gained 52,000 new “likes” over the five-day program period, which was a 50% increase to their previous count. The brand also enjoyed a 30.5% sales jump for Style Prep by January 2011, with sales continuing to rise. One lesson learned from this social media crisis was not launching promotions on a Friday since problems over the weekend are less likely to be addressed immediately. Most importantly, Aveda realized that transparency must be a top priority when dealing with consumers since social media has opened up a world where companies must be more open than ever.